The BCFMCA 2017 annual general meeting will be held on Sunday, January 22nd 2017. Details on the AGM page. It is also membership renewal season. Renew now! The BCFMCA (late) summer BBQ will occur from 12pm to 2pm on August 27, 2016. 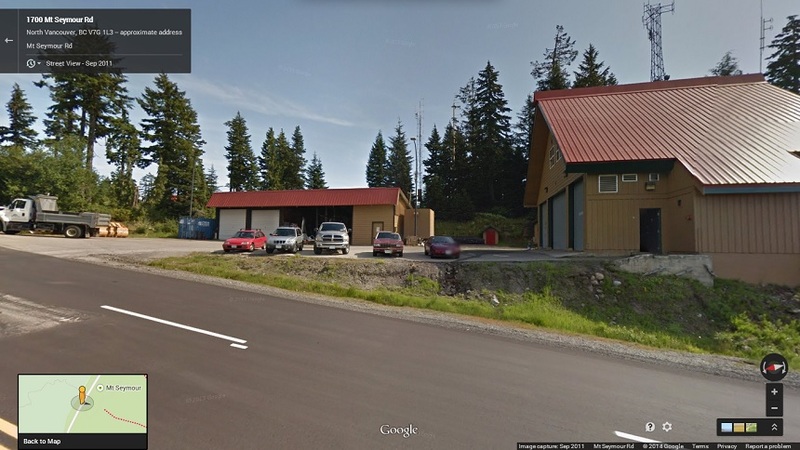 The BBQ will be at our Mount Seymour repeater site. Smokies will be served along with cold drinks. The BBQ is weather dependent and may be cancelled on short notice - Please check back here before proceeding to the site. Talk-in on VE7RPT 146.940 MHz. There are no washroom facilities on site. Washrooms may/should be open up at the summit/lodge. When you see the maintenence buildings (below), turn at the next parking lot (Lot #2). 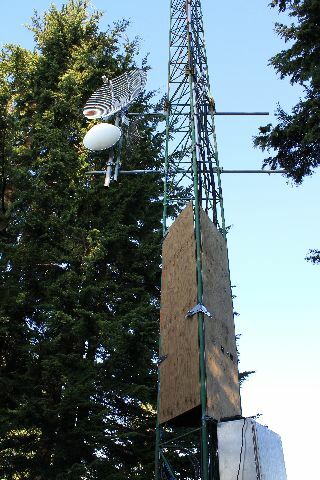 On October 16, 2010 we finally got a nice day and time in everyone's schedule to refurbish the anti-climb on the tower. At the same time we also completed replacement of the 35 year old bolts on the base of the tower that were showing signs of deterioration. Hopefully next spring we will be able to continue bolt replacement on the next section of the tower. We also installed an equipment cabinet at the base of the tower to allow us to make better use of the CAT5 network drops to the shack. 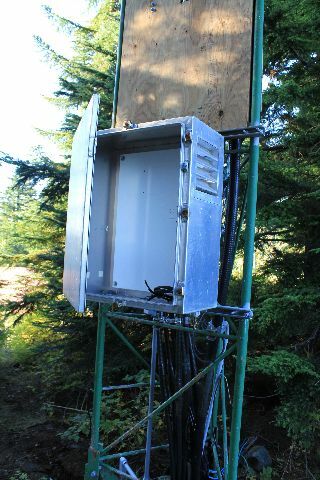 This cabinet will allow us to get more BCWARN wireless equipment going on the tower (no longer limited to two radios). On January 9, 2010, we did some upgrades and site maintenance. 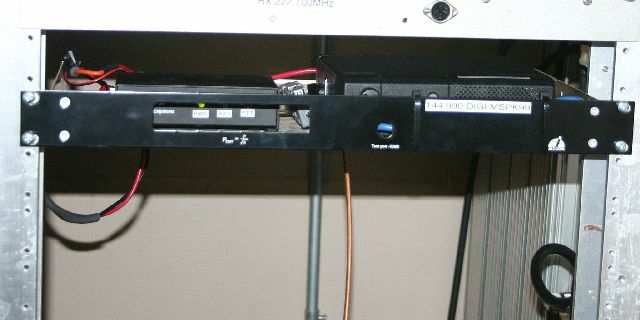 The existing duplexers for VE7RAG-VHF (D-STAR) and VE7LAN were replaced with Sinclair Q2330E's. These duplexers offer more isolation for our tightly spaced repeaters. We also added preselectors and preamp's to both repeaters. As a result, the performance of both machines should see a notable improvement. In fact, VA7DX reports that coverage and performance of VE7RAG-VHF has definitely improved. We'll be making some more tweaks to other repeaters in due time. The BCFMCA is pleased to announce that a number of wide-area APRS digipeaters and I-Gates are now in service for testing on 144.990MHz. Through the support of the BCFMCA, BCWARN, NWARC, BARC, TPARC, and other clubs around the Lower Mainland, we are rolling out a network of APRS digi's on the alternate frequency of 144.990MHz. The primary use of these digis is for LOW POWER TRACKERS ONLY. These are trackers that use radios with 5W or less. Please DO NOT use this alternate frequency if you are running a high power tracker, you will get through just fine on the standard 144.390 frequency. These digi's may also be used for special events, such as parade trackers, race trackers, etc. For more information, please email VE7FET (see the contact page). The BCWARN hub site at UBC offers lots of bandwidth for us to leverage off of. In order to put some of this bandwidth to good use, we have assisted in getting a new IRLP reflector and a new D-STAR reflector online. The new IRLP reflector is number 9020, and was primarily utilized for 2010 Olympics related amateur radio IRLP events. It is now available to all for general use. D-STAR reflector REF026 is also being hosted there, and will be used for similar purposes. The advantage to having our own reflectors hosted on BCWARN hardware is that they should still be available to us, should a major network interruption occur. Do you have some extra money burning a hole in your pocket? Well, we can now accept donations via VISA and MASTERCARD. Just click the button on the menu on the left. The BCFMCA is a registered charity! All donations in excess of $25 will have a tax receipt issued. Please ensure we have your correct information so we can get your tax receipt to you!. Curious as to the coverage of our repeaters? Check out the Equipment page for further details. This page was last updated 18 August 2016.